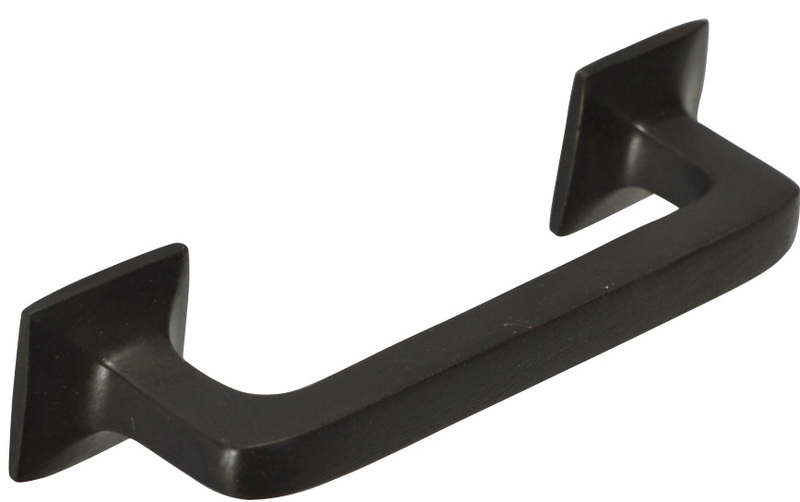 Solid Brass Square Traditional Pull (Oil Rubbed Bronze Finish) - Each pull is constructed from solid brass and finished by hand. The square traditional pull measures 4 1/4 inch wide by 1 1/2 inch tall. The center-to-center mounting distance is 3 inches. This pull style is also available in a 3 inch center to center mounting. This pull has a projection of approximately 1 1/2 inches.